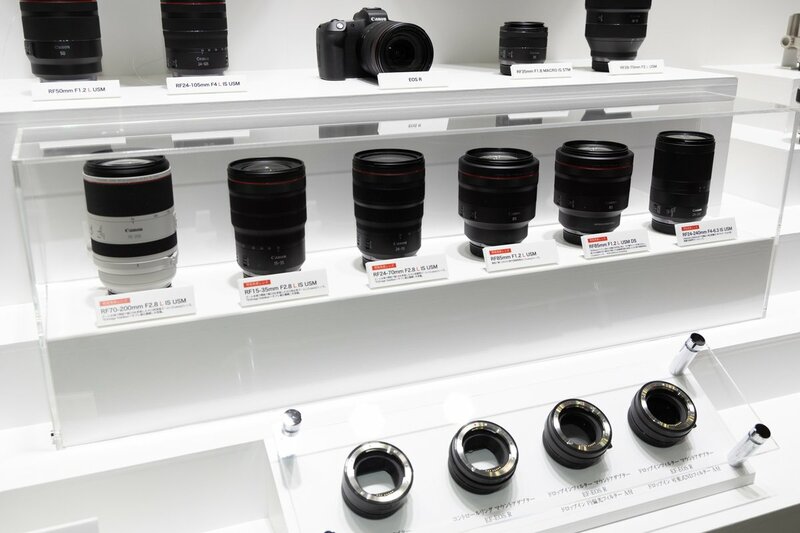 At CP+ 2019, Canon shows off their upcoming six RF lenses at their booth. Here are images of these six RF lenses: RF 15-35mm f/2.8L IS USM Lens, Canon RF 24-70mm f/2.8L IS USM Lens, Canon RF 70-200mm f/2.8L IS USM Lens, Canon RF 85mm f/1.2L USM DS Lens, Canon RF 85mm f/1.2L USM Lens, Canon RF 24-240mm f/4-6.3 IS USM Lens. As already announced before, these six lenses will be released in later 2019. 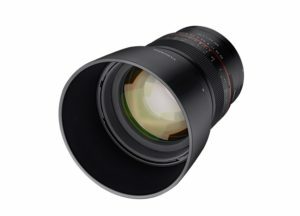 Samyang MF 14mm f/2.8 RF & MF 85mm f/1.4 RF Lenses Announced ! 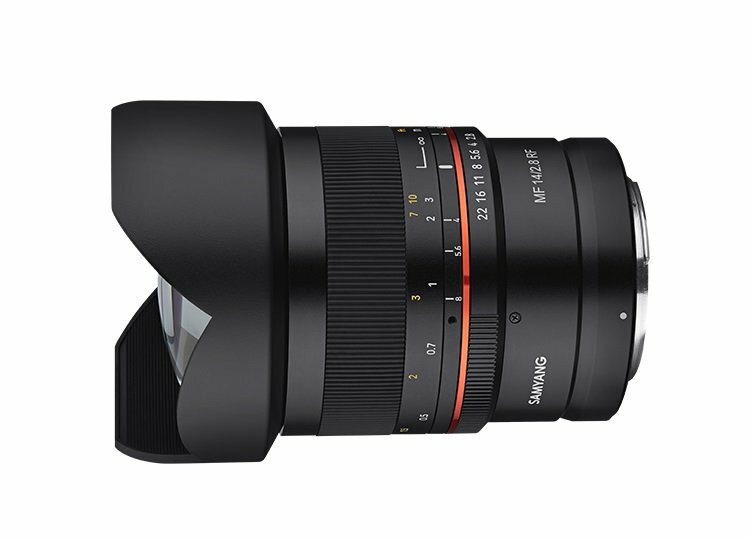 Samyang has officially announced two new RF mount lenses for Canon EOS R full frame mirrorless cameras: Samyang MF 14mm f/2.8 RF Lens and Samyang MF 85mm f/1.4 RF Lens. The US price for both lenses is not available yet, you can check pre-order options at B&H Photo Video/Adorama. 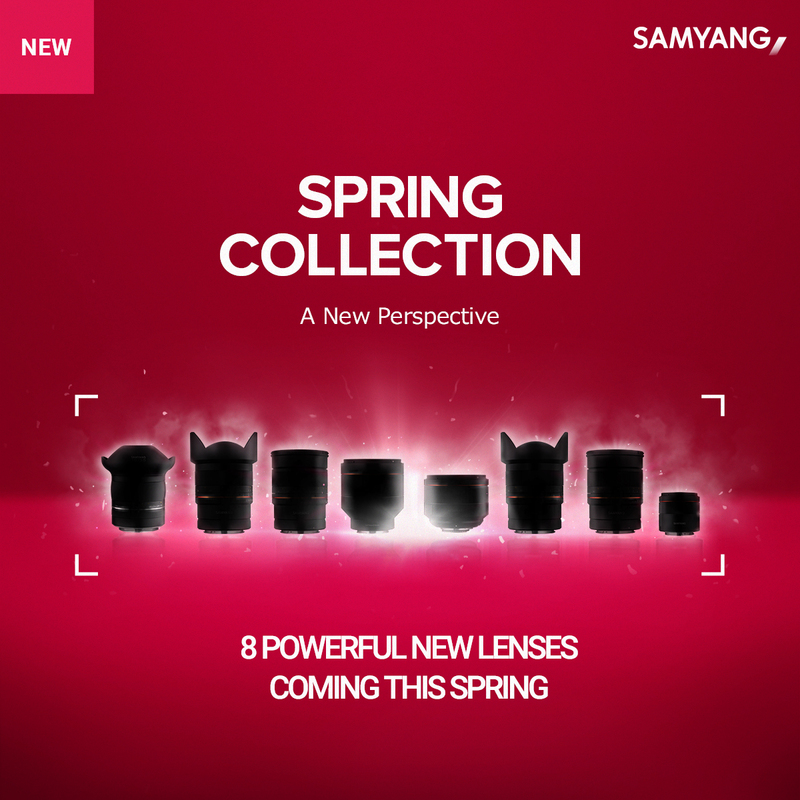 According to Samyang, both lenses will be released soon. Author adminPosted on February 28, 2019 February 28, 2019 Categories Canon Lenses, Canon RF Lenses, Rokinon Lenses, Samyang LensesTags CP+ Show 2019, Rokinon MF 14mm f/2.8 RF Lens, Rokinon MF 85mm f/1.4 RF Lens, Samyang MF 14mm f/2.8 RF Lens, Samyang MF 85mm f/1.4 RF LensLeave a comment on Samyang MF 14mm f/2.8 RF & MF 85mm f/1.4 RF Lenses Announced ! Update: Adorama also Has Sigma 14-24mm f/2.8 DG HSM Art Lens for $929 ! Sigma USA authorized dealer Adorama & B&H Photo Video has a hot one day deal on Sigma 14-24mm f/2.8 DG HSM Art Lens for Canon EF mount for $929.00. Lowest price online ever. Regular price for this lens is $1,299 at most Sigma USA authorized dealers. Author adminPosted on February 28, 2019 March 1, 2019 Categories Canon Deals, Sigma LensesTags Sigma 14-24mm f/2.8 DG HSM Art LensLeave a comment on Update: Adorama also Has Sigma 14-24mm f/2.8 DG HSM Art Lens for $929 ! New Lowest Price on SanDisk Memory Cards and Storage Products at Amazon ! 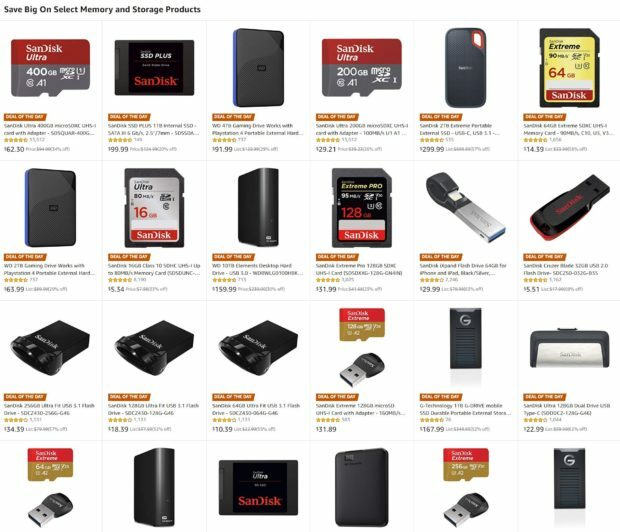 Amazon US currently has today only deal on SanDisk memory cards and storage products, you can get up to 69% off than regular price, some of these items are lowest price online ever. Author adminPosted on February 27, 2019 February 27, 2019 Categories Canon DealsTags Memory CardLeave a comment on New Lowest Price on SanDisk Memory Cards and Storage Products at Amazon ! 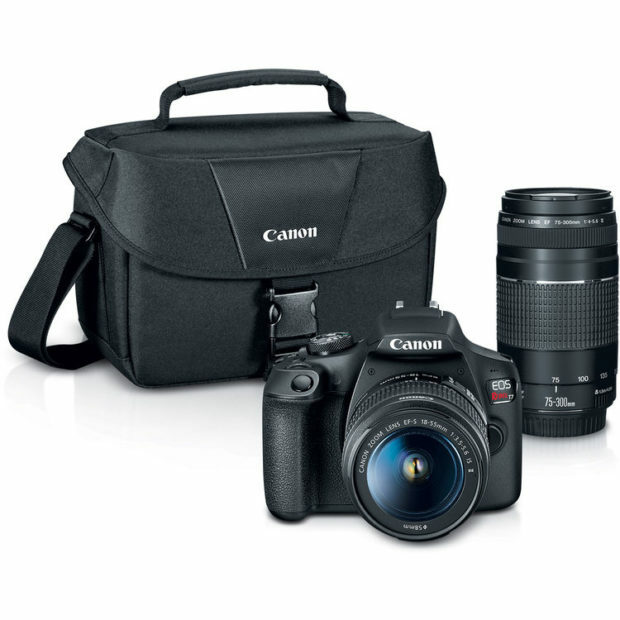 Canon EOS RP now In Stock at B&H Photo Video/Adorama/Amazon ! The new announced Canon EOS RP full frame mirrorless camera now already in stock and shipping at B&H Photo/Adorama/Amazon. 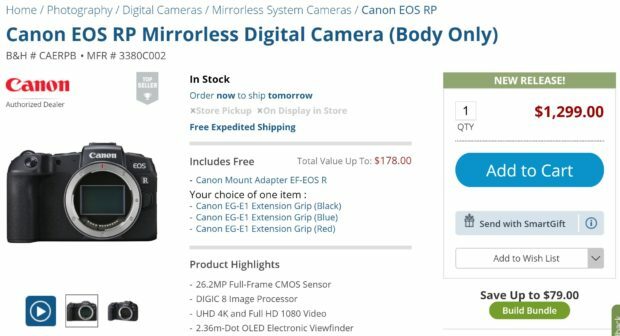 Author adminPosted on February 27, 2019 Categories Canon EOS RP Deals, Canon Full Frame Mirrorless CameraTags In StockLeave a comment on Canon EOS RP now In Stock at B&H Photo Video/Adorama/Amazon ! 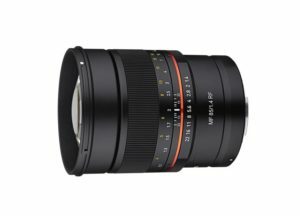 Samyang MF 14mm f/2.8 RF & MF 85mm f/1.4 RF Lenses Coming Soon ! 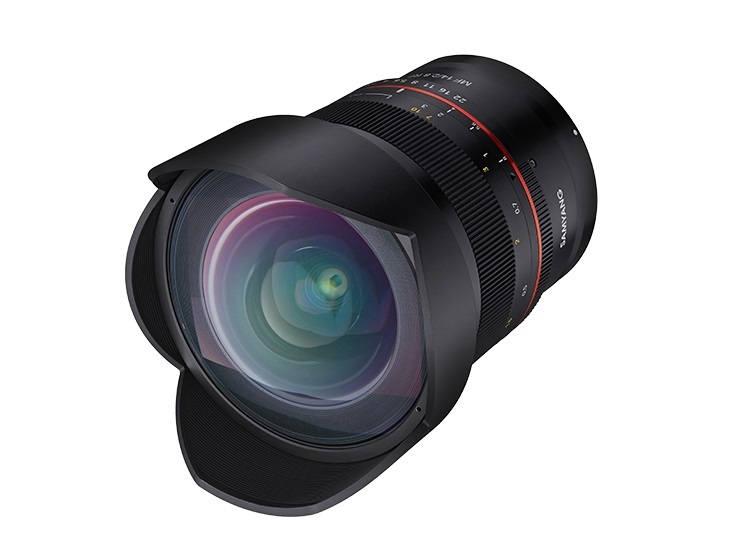 Author adminPosted on February 26, 2019 February 26, 2019 Categories Canon RF Lenses, Rokinon Lenses, Samyang LensesTags Canon RF Mount, CP+ Show 2019, Image, Leak, Rokinon MF 14mm f/2.8 RF Lens, Rokinon MF 85mm f/1.4 RF Lens, Samyang MF 14mm f/2.8 RF Lens, Samyang MF 85mm f/1.4 RF Lens, Samyang RumorsLeave a comment on Samyang MF 14mm f/2.8 RF & MF 85mm f/1.4 RF Lenses Coming Soon ! The Canon EOS Rebel T7 was firstly announced in early 2018. Canon USA today now announced that EOS Rebel T7 kits now available for pre-order in US. You can pre-order EOS Rebel T7 kits at Amazon/B&H Photo Video/Adorama. Price starts at $449, shipping on March 5th, 2019. Super Hot – Sigma 28mm f/1.4 DG HSM Art Lens for $1,034 at Amazon ! 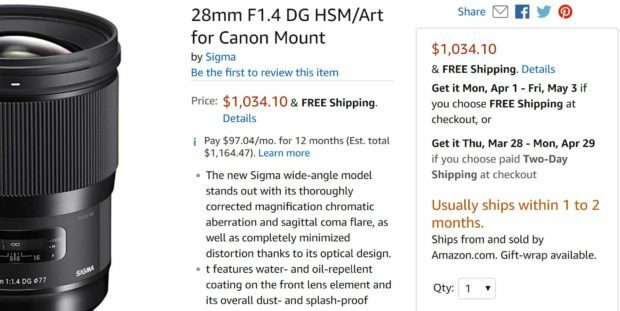 Sigma USA authorized dealer Amazon US currently has new Sigma 28mm f/1.4 DG HSM Art lens for Canon EF Mount for $1,034.10. Lowest price online ever from Sigma USA authorized dealers. Regular price for this lens is $1,399 at most US stores such as B&H/Adorama. This is a limited time deal, will be expired soon. 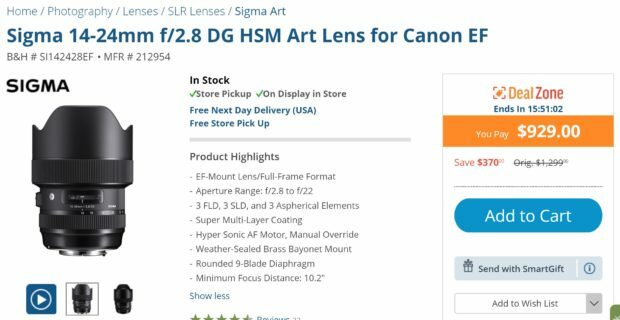 Author adminPosted on February 25, 2019 Categories Canon Deals, Sigma LensesTags Sigma 28mm f/1.4 DG HSM | Art LensLeave a comment on Super Hot – Sigma 28mm f/1.4 DG HSM Art Lens for $1,034 at Amazon ! ﻿ Here is a 4K video test of Canon EOS RP (B&H Photo/Adorama/Amazon) by DSI pictures. Watch the video above. According to ePhotoZine, Samyang plan to launch 8 new lenses this Spring – Samyang have announced a plan to launch 8 new lenses throughout spring 2019, with announcements coming at CP+ in Tokyo and The Photography Show in Birmingham.